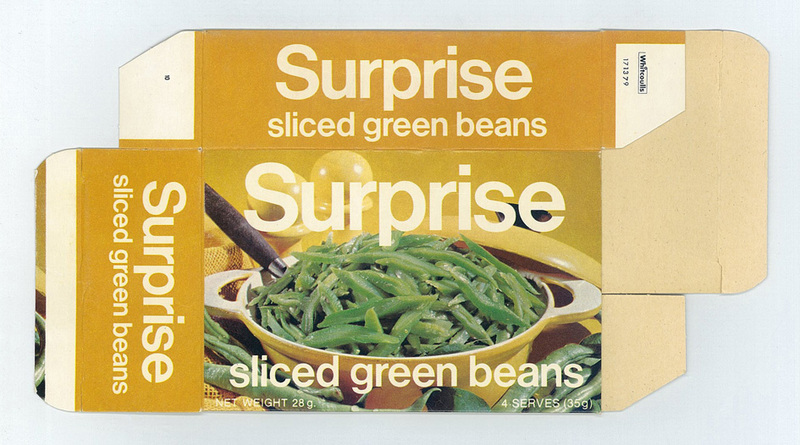 interesting post, thanks. 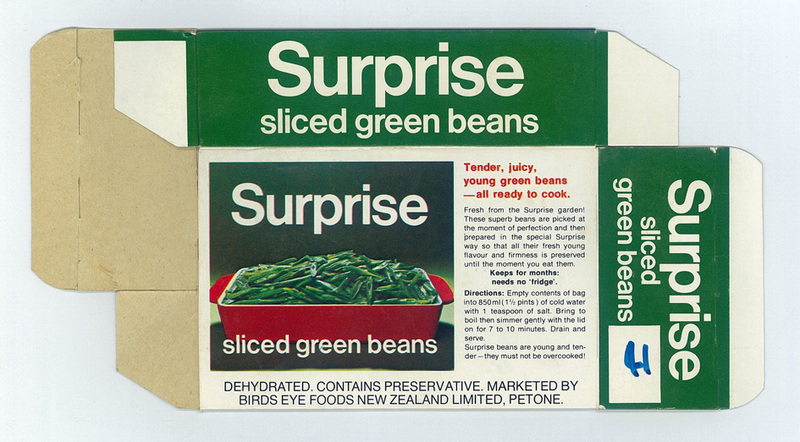 I have located a couple of boxes for Surprise Sliced Green beans (dehydrated) in the ephemera collection of the Hocken Collections. 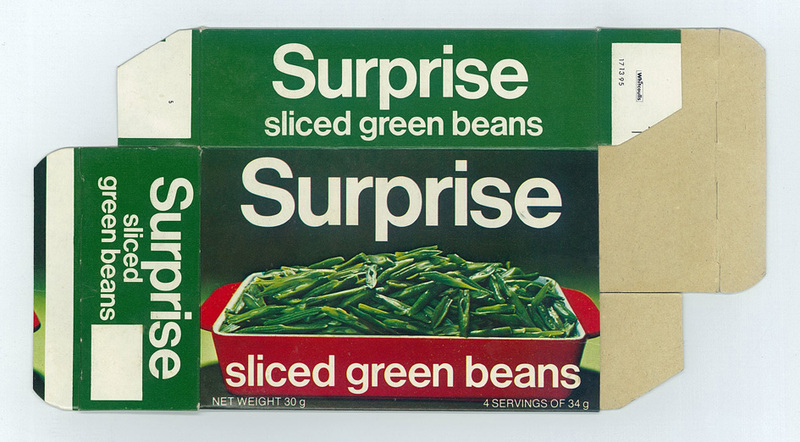 They are probably from the late 1970’s or even 1980’s? 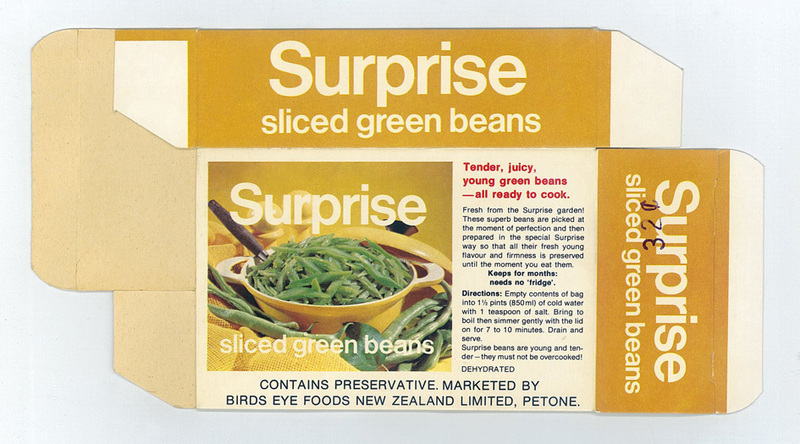 – they have photographs of beans, and are marketed by Brids Eye Foods New Zealand Ltd, Petone. 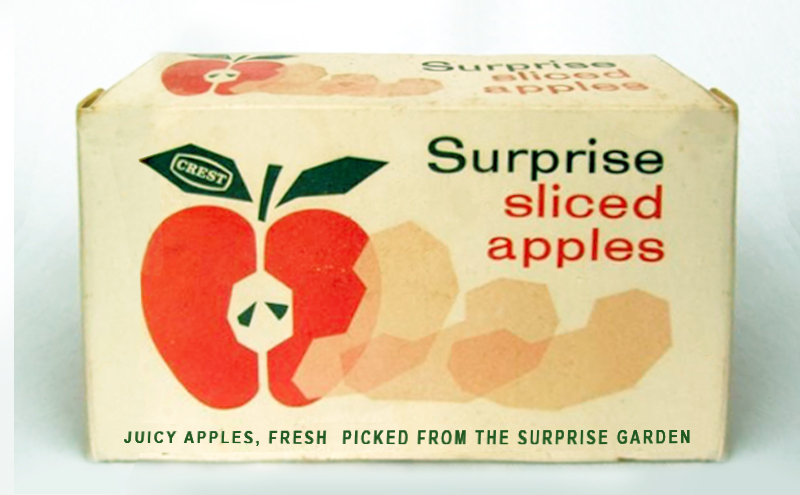 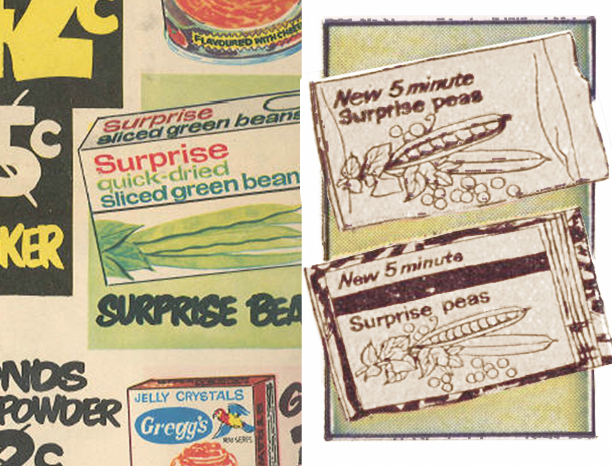 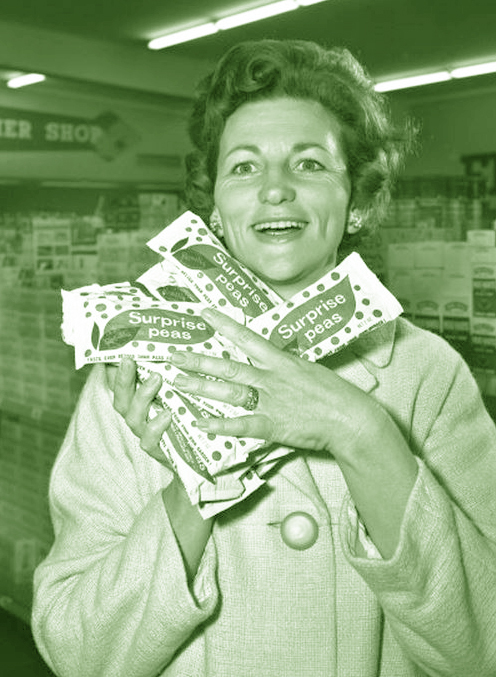 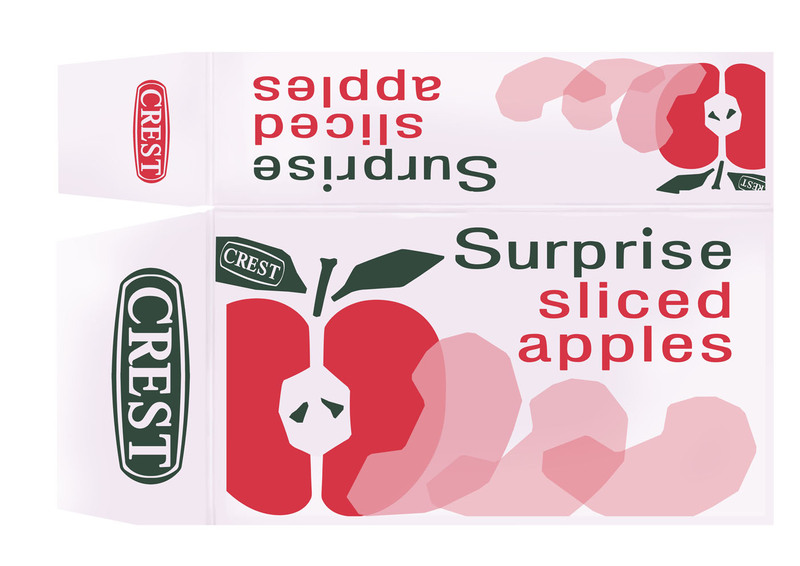 I remember Surprise Peas in boxes (I think the cardboard boxes contained white sachets of peas) in England during the late 1960s. 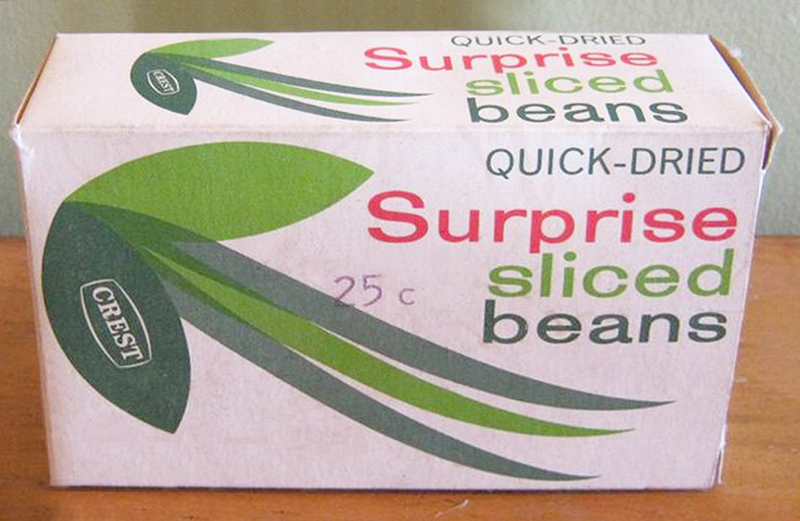 They were dried, but cooked very quickly in boiling water. 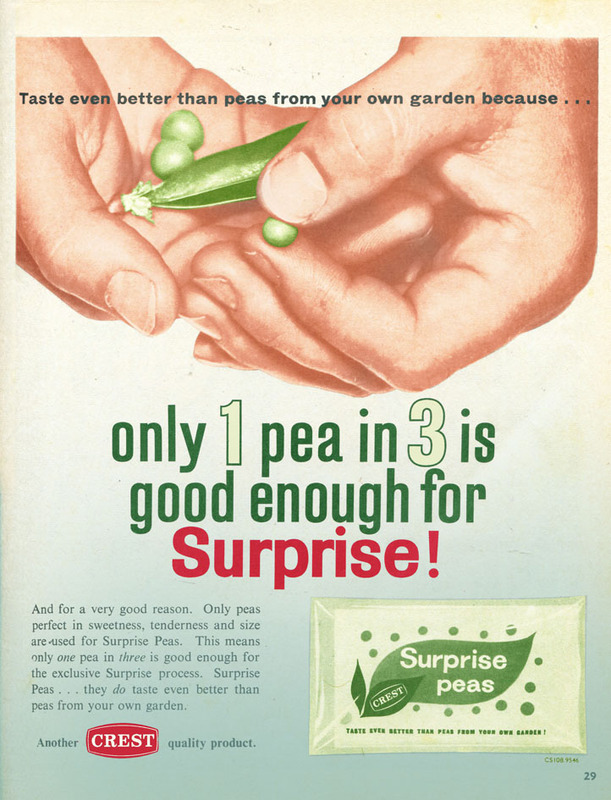 I could still sing you the TV advert jingle – the words were, “get the taste of fresh peas from your garden. 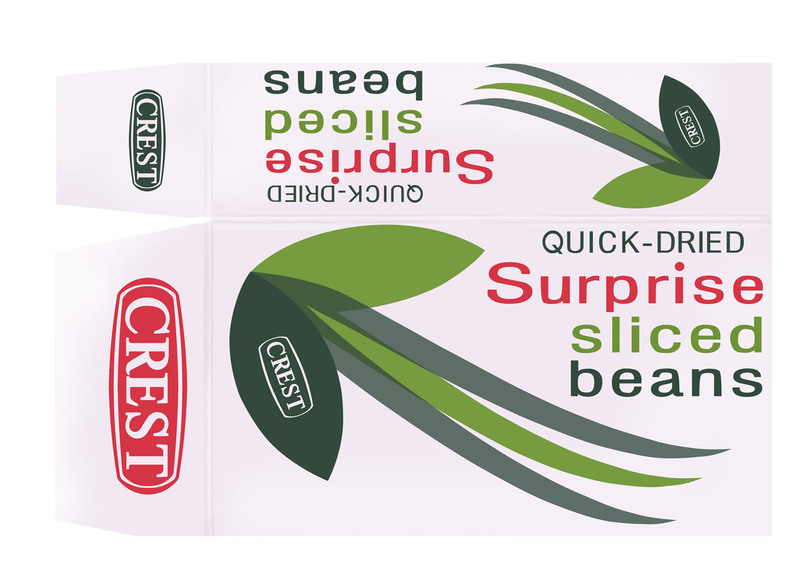 Suprise suprise suprise!